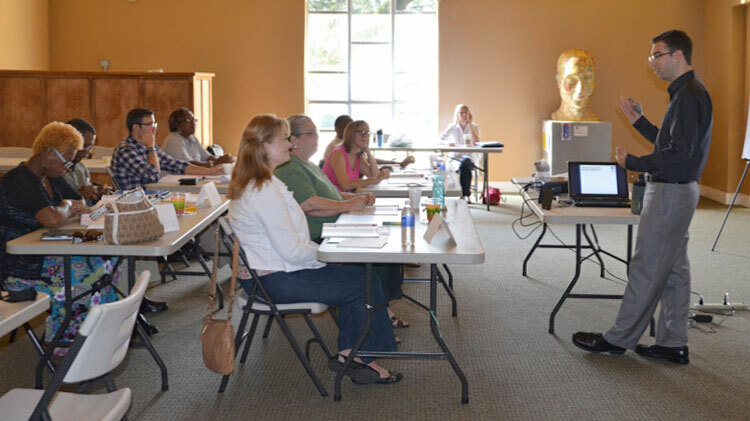 AltaPointe offers Mental Health First Aid training courses at one of its locations or can arrange to schedule a session at your business, church or organization. Several times a year we offer courses to the public. These training sessions are publicized on our website and in the media. AltaPointe works with nonprofits and businesses to schedule training for employees and associates. AltaPointe also schedules training sessions for the public. Each training session is eight hours. It may be taught in one day or can be divided into smaller segments. Unless otherwise noted, sessions begin at 8:00 a.m. and end at 4:30 p.m. Please call (251) 450-4340 for more information or to arrange a special MHFA program for your group. * For CEU credit inquiries and costs, contact 251/450-4340.